City manager Wally Bobkiewicz (left) and Ald. Tom Suffredin (6th). Suffredin on Thursday sent out an email calling for public discussion of a potential successor for Bobkiewicz and calling into question his loyalty to Evanston. Ald. Tom Suffredin (6th) on Thursday sent out an email to his constituents, calling for a public discussion about the city manager’s job performance and allegiance to Evanston. Suffredin said in a ward newsletter that city manager Wally Bobkiewicz should “be good to Evanston and place the city above his own personal and professional interest.” He is asking for an “open and transparent public discussion” about Bobkiewicz’s job performance and his “open and (unapologetic)” desire to leave Evanston. In interviews with The Daily and the Chicago Tribune, the mayor and aldermen have expressed their disagreement with Suffredin’s claims and position. Bobkiewicz declined to comment on the matter. In his newsletter, Suffredin wrote that “there is no succession plan, no timetable and there has been no public discussion” to account for Bobciewicz’s potential exit. He said residents are not being kept informed on the potential issue. Ald. Donald Wilson (4th) told The Daily he does not feel it’s “appropriate” for Suffredin to address a personnel concern in such a public matter. Wilson emphasized that the city manager in Evanston is an employee of the city, hired by aldermen to enact council policy. Evanston operates under a council-manager form of government, which means that in addition to enacting policy, Bobkiewicz also manages the city staff, advises council members and prepares the city’s annual budget. 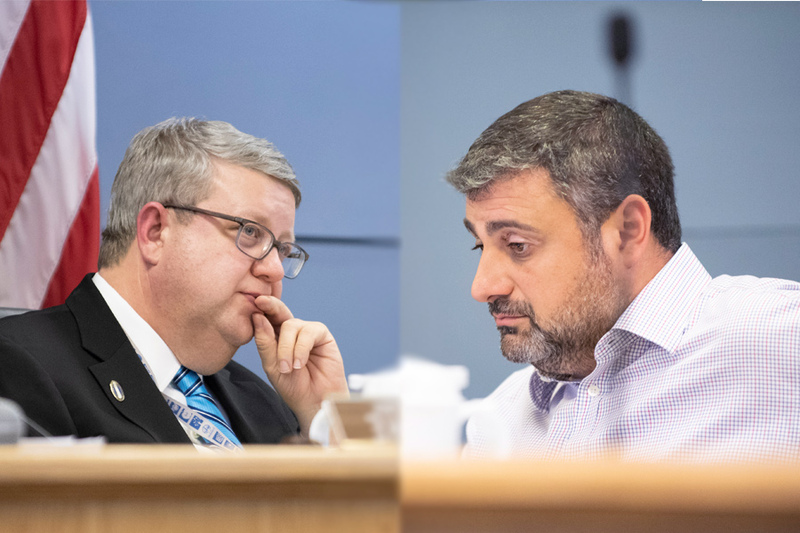 To hire or fire a city manager, seven of nine sitting aldermen must vote in approval, according to Evanston City Council rules. Suffredin said he doesn’t know where the “perfect place” is for him to speak to his constituents and that he felt the newsletter was a good medium since he doesn’t have a social media presence. “The city manager is an employee of the city, so, just like any other employee, their personnel matters should be treated like other employees,” Wilson said.